Your credit card will be billed at the time of order. There will be a charge for backordered products. We will contact you with cost and eta. You will have the option of cancelling or waiting for product to become available. 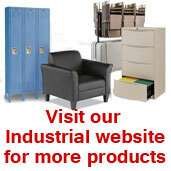 We accept purchase orders from local, state and federal government agencies. This instrument confirms the terms and conditions of the sale of goods described on the face hereof. In the event that any document or writing states terms additional to or different from the terms and conditions of this instrument, then this instrument will supersede, and be deemed a notification of objection to, such additional and/or different terms. The customer's presentation of this instrument to Fixture Zone Inc. will be deemed an acceptance of all the terms and conditions contained in this instrument. Prices do not include export duties, special handling, shipping or freight charges or sales, use, license, excise or other taxes with respect to the manufacture, sale or delivery of goods, all of which are the sole responsibility of the customer. The prices stated on the face hereof are subject to adjustment to Fixture Zone's schedule of prices in effect at the time of each shipment. Methods of payment will be in accordance with Fixture Zone's payment policies. Any credit sale is subject to the approval of Fixture Zone's credit department. A finance charge equal to the highest amount allowed by law will be added to the amount due on all invoices that are not paid within the stated time. All payments will be made in United States currency. If the customer fails to comply with any of the terms or conditions of this instrument, Fixture Zone may hold further deliveries. Fixture Zone may suspend performance or require cash payment or adequate security, at any time when, in Fixture Zone's sole and absolute discretion, the financial condition of the customer or other factors warrant such action. Fixture Zone reserves the right to alter, change or modify the design and/or construction of any goods without notice and without incurring any obligation to furnish or install such alterations, changes or modifications on goods previously or subsequently sold. 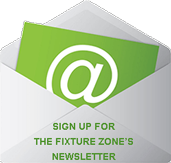 While The Fixture Zone is more than happy to fill your order for a quantity of ten (10) or more of any given item on a single purchase order, please understand that an order of that size, once purchase is completed, is automatically non-refundable. All other specific conditions related to the ordered item still apply, including any and all stipulations relative to any available replacement return policies. Please contact Customer Service with any questions you may have. Shipping will be added to Store Pickup's on non-stock or custom items. We do not ship to PO Boxes. There is a handling charge added to orders under $70. Unless otherwise agreed in writing by Fixture Zone and the customer, shipments will be made via the most reasonable methods as determined in the sole and absolute discretion of Fixture Zone. Fixture Zone will have the sole and absolute discretion to select the method of shipment, routing of shipment, point of origin of shipment and selection of carrier. F.O.B. point of origin shipment. Shipping and delivery dates given by Fixture Zone are estimates only, based on factors in existence at the time such estimates are made. Each delivery will be deemed to be a separate sale and the customer will make payment on partial deliveries. Fixture Zone will not be liable for damages due to the delay in, or the inability to complete, the manufacture and delivery of goods due to labor difficulties, weather, Acts of God, governmental acts or regulations, shipping delays, inability to obtain equipment or material from the sources of supply, or any other cause whatsoever beyond the reasonable control of Fixture Zone. The customer will pay Fixture Zone reasonable storage and handling charges for any shipments that are delayed on account of the customer and will be responsible for initiating and processing all claims directly with the carrier. All orders placed via the internet, shipping charges will be added to order before shipping of order. Unless otherwise noted, customer will accept all charges that are applied with a 3 Day Select, 2nd Day Air, or Next Day Air Shipment and all additional charges that might apply to that shipment. Customer must notify Fixture Zone if customer is to be notified of price of shipping charges before order is shipped. If not noted, customer will be responsible for all charges. Certain products can only be shipped via Common Carrier. Customer MUST advise Fixture Zone regarding any special delivery arrangements required. Common Carrier Trucks typically require dock high delivery points or are to curbside. Please advise at time of order if the following apply: Residential Delivery, liftgate required, inside delivery, special elevator restrictions, appointments for delivery scheduling, more than one person to unload, or any other circumstances that might affect your delivery. Additional charges may apply depending on your needs. Truck deliveries cannot be guaranteed for a specific date, but Fixture Zone will do all that it can to assist you in arranging your delivery. Please count and inspect all packages at time of delivery and note any damage or shortages on bill of lading at time of receipt in order to preserve your right to to file a claim with the freight company. All risk of loss or damage and all incidents of title and ownership will pass to the customer when Fixture Zone's delivery of the goods to the carrier (F.O.B. point of origin of shipment) even though Fixture Zone may have selected the carrier. In no event will Fixture Zone be liable for any loss or damage, including but not limited to lost profits or incidental or consequential damages, that result after Fixture Zone delivers the goods. For any such loss or damage, Fixture Zone will have no responsibility whatsoever and the customer will be responsible for initiating and processing all claims directly with the carrier. The customer hereby grants to Fixture Zone a lien and a purchase money security interest in all the goods purchased hereunder, as well as all additions and accessories attached to such goods, and all proceeds therefrom, as security for any balance owing with respect to such purchase. Upon Fixture Zone's request, the customer will promptly execute and deliver to Fixture Zone a financing statement and any additional documents to evidence said lien or security interest. The customer may cancel orders for, or make returns of, goods purchased under this instrument only upon submitting a written request for cancellation or return to Fixture Zone and obtaining a RMA of Fixture Zone for same. Fixture Zone does not accept collect shipments. Any such cancellation or return will be subject to Fixture Zone's cancellation and return policies in effect at the time of such cancellation or return, including but not limited to Fixture Zone's restocking charges which currently are equal to 30% of the cost of the goods and Fixture Zone's requirement that any return must be in its original packaging and must be made no later than seven (7) days after Fixture Zone delivers the goods to the customer or the carrier, or mails the invoice, whichever first occurs. Special ordered, custom, obsolete or non-current goods may not be returned and orders for the same may not be cancelled. Any orders that Fixture Zone agrees will be cancelled and any goods that are accepted for return will entitle the customer to an exchange for other goods or a credit against future purchases; no refunds will be given. All acrylic items are not returnable and sales are final. All goods sold pursuant to this instrument are subject to inspection by the customer promptly upon the customers receipt and, unless Fixture Zone is advised in writing to the contrary, such goods will be deemed to be accepted as conforming with the requirements of this instrument and free from all discoverable defects. If the customer finds the goods to be non-conforming, the customer must promptly so advise Fixture Zone in writing, specifying all claimed defects or non-conformities and the customer will give Fixture Zone an opportunity to investigate. Fixture Zone warrants that all of the goods manufactured by it are free from manufacturing defects in material and workmanship. Fixture Zone represents that it has inspected in a reasonable manner all components manufactured by others and used in Fixture Zone goods and Fixture Zone warrants that those components are free from manufacturing defects in material and workmanship that are detectable by such reasonable inspection. THE FOREGOING WARRANTIES ARE IN LIEU OF ALL OTHER WARRANTIES, EXPRESS OR IMPLIED. INCLUDING BUT NOT LIMITED TO THE WARRANTY OF FITNESS FOR A PARTICULAR PURPOSE. THE FOREGOING WARRANTIES ARE VOID IF THE GOODS HAVE NOT BEEN USED, CARED FOR AND MAINTAINED IN ACCORDANCE WITH Fixture Zone'S WRITTEN INSTRUCTIONS ACCOMPANYING THE GOODS OR IF THE GOODS HAVE BEEN OTHERWISE UNREASONABLY USED, NEGLECTED, MISHANDLED, OR IMPROPERLY SERVICED OR STORED OR IF THE GOODS HAVE BEEN DAMAGED BY ACCIDENT OR OTHER CASUALTY. No employee or representative of Fixture Zone has authority to bind Fixture Zone to any representation, promise or warranty concerning the goods. Unless a representation, promise or warranty is set forth in this instrument it is not enforceable by the customer. THE CUSTOMER'S SOLE AND EXCLUSIVE REMEDY AGAINST Fixture Zone FOR BREACH OF ANY WARRANTY WILL BE FOR THE REPAIR OR REPLACEMENT AT Fixture Zone'S OPTION, UPON THE CUSTOMER'S RETURN AT THE CUSTOMER'S COST, TO Fixture Zone OF THE GOODS. NO OTHER REMEDY, INCLUDING BUT NOT LIMITED TO COMPENSATION FOR PROPERTY DAMAGE, LOST PROFITS, LOST SALES, OR INCIDENTAL OR CONSEQUENTIAL DAMAGES, WILL BE AVAILABLE TO THE CUSTOMER. Claims under the foregoing warranties must be made by obtaining the prior Return Authorization (RA) and shipping instructions of Fixture Zone and returning the defective goods in accordance with Fixture Zone's policies then in effect. This paragraph constitutes the complete and final expression of any and all warranty agreements between Fixture Zone and the customer notwithstanding any usage of trade, course of dealing or documents sent to Fixture Zone by the customer. If Fixture Zone manufactures or modifies any goods in accordance with the customer's requests, plans or specifications, the customer will indemnify and hold Fixture Zone, its agents, officers and employees, harmless from and against all liabilities, losses, claims, causes of action, penalties and expenses, including but not limited to attorney's fees and court costs, imposed on, incurred by or asserted against Fixture Zone, its agents, officers or employees,, on account of bodily injury or death or property damage or destruction or on account of infringement of any patent, design, copyright, tradename or trademark, existing or hereafter issued, directly or indirectly arising out of such requests, plans or specifications or out of any alleged breach by Fixture Zone of any implied or express warranty (except for the limited warranties specifically set forth in this instrument). The provisions of this paragraph are expressly made for the benefit of Fixture Zone, its agents, officers and employees and its successors and assigns, and will continue in full force and effect not withstanding the termination of this instrument. The waiver by Fixture Zone of any term or condition of this instrument will not be construed to be a waiver of any other term or condition hereof, nor will such waiver of a subsequent breach of the same term or condition, nor will it be deemed a waiver of any term or condition in any subsequent instrument. SEVERABILITY In the event any provision of this instrument is held to be invalid or unenforceable, the other provisions of this instrument will be valid and enforceable. This instrument confirms the sole and entire agreement between Fixture Zone and the customer and none of the terms and conditions contained herein may be added to, deleted, modified or altered except by a written instrument signed by Fixture Zone and the customer. There are no oral understandings, representations or agreements relative to the subject matter of this instrument which are not fully expressed in this instrument. The laws of the State of Arizona will govern the validity, interpretation and enforcement of this instrument. The sole, exclusive and proper venue for any proceedings brought to interpret or enforce this instrument or to obtain a declaration of the rights of the parties hereunder will be Maricopa County, Arizona. In the event that any suit in law or equity, arbitration or the formal proceeding is instituted by any party or interpret any part of this instrument, or to recover damages for breach thereof, the prevailing party will be entitled to recover costs of suit, including but not limited to reasonable attorney's fees, incurred. If any collection procedure does not culminate in the commencement of any suit, arbitration or other formal proceeding, Fixture Zone will be entitled to recover from the customer, all costs, including but not limited to attorney's fees, incurred by Fixture Zone in connection with such collection procedure. The Fixture Zone can not be held responsible for any typographical, operator, machine or any other error. We reserve the right to refuse any order. By making a purchase from our catalog, web site, and/or by phone you are consenting to the policies set above, which may be changed without notice.